Dear colleagues, this one is for you. All those paper writing thesis completing report submitting physicists out there: here comes a new central paper for your list of references and your reading list. It provides a comprehensive physics case for the e+e- linear collider and puts all the topics and ideas from theory, collider searches, astronomy in context to each other. 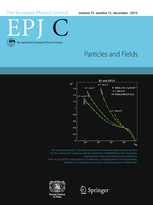 It’s been published in the open-access peer-reviewed European Physical Journal C (EPJC), and here’s the link: http://link.springer.com/article/10.1140/epjc/s10052-015-3511-9. We suggest you bookmark it right away. The work on this paper started around the time the ILC’s Technical Design Report was being put together in 2012 as a comprehensive update of the physics case presented in the TDR for the TESLA project some 10 years earlier, initiated by retired DESY theorist Peter Zerwas. A group of 74 authors, topic conveners and an advisory team started working on the project-independent update – and then the Higgs happened. “The journal wanted us to include the very latest results, so we’ve been adding new information continuously, up until the proof stage,” says Gudrid Moortgat-Pick, theorist at the University of Hamburg and one of the authors of the 178-page paper. The focus of the report lies in Higgs, top quark and electroweak precision physics, but it also dedicates space to ideas from beyond the standard model such as supersymmetry, little Higgs models and extra gauge bosons. The authors are all experts in their fields and are mainly theorists, but some experimentalists had a say as well.